Surgery is a commonly used tool for the treatment of certain cancers. Unfortunately, the goal of removing all cancerous tissue is not always achieved and either, the surgery should be repeated or the patient’s subsequent treatment pathway is changed. For example, 20-40% of breast cancer patients who undergo breast-conserving surgery will require a re-operation. Confirmation that any excised tumour has a margin of healthy tissue is the key criterion for surgical success. Although there are techniques and equipment available that provide some information regarding margin status during the procedure, none are considered reliable, practical and easy to use during surgery. Today, surgeons primarily rely on visual and tactile assessment to find cancerous deposits. 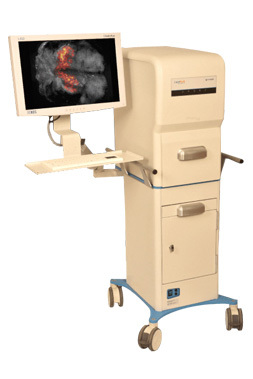 The LightPath™ Imaging System has a CE Mark. The device has not received marketing authorization from the FDA.